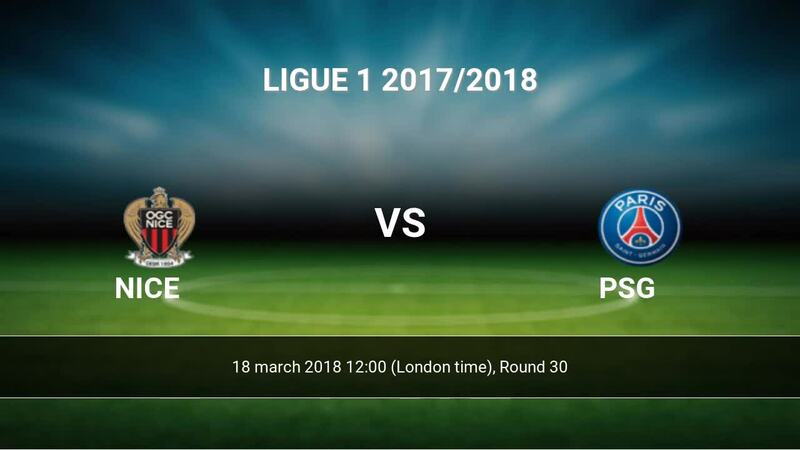 The match Nice-PSG Ligue 1 will start 18-03 12:00. Referee in the match will be Francois Letexier. Team Nice is located in the middle of the table. (7 place). Last 5 games (league + cup) finished balance 8 points. from 4 matches team have not been defeated. The most goals in Ligue 1 for Nice scored: Mario Balotelli 14 goals, Alassane Plea 10 goals, Pier Lees-Melou 4 goals. Players with the most assists: , Alassane Plea 2 assists, Pier Lees-Melou 6 assists. In Nice not occur in the match due to injury: Christophe Jallet, Mickael Le Bihan. Racine Coly. They will not be able to play in the game due to suspension. Team PSG is at the top place in the table (1 place). PSG in 5 last matches (league + cup) have collected15 points. PSG has not been defeated from 8 matches. 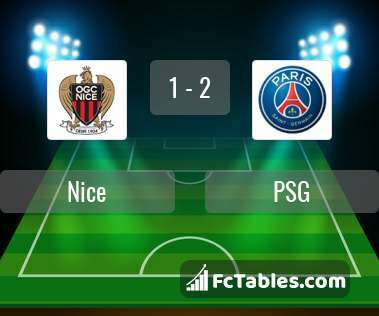 To defend Nice the most demanding players will be Edinson Cavani 24 goals, Neymar 19 goals, Kylian Mbappe Lottin 13 goals, because this season they scored the most goals for PSG of the entire composition. Most goals developed: Edinson Cavani 4 assists, Neymar 13 assists, Kylian Mbappe Lottin 7 assists. The match will not occur Thiago Motta because they are suspended (cards, etc.). Direct matches: PSG won more direct matches. 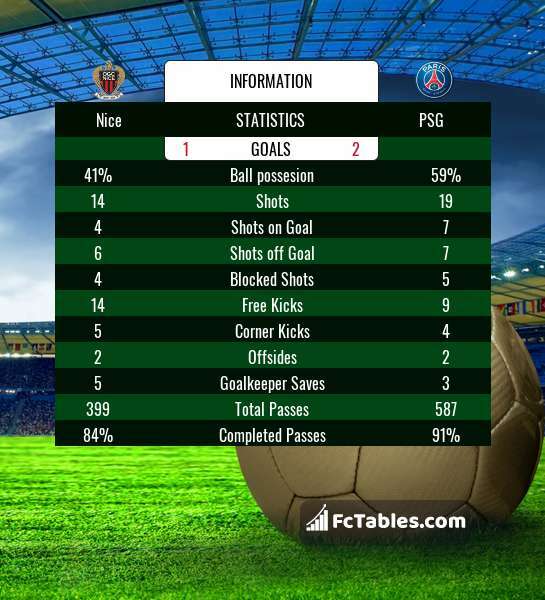 Nice won 10 matches , PSG won 14 direct matches, was a 8 draws. In 18 matches the sum of the goals both teams was greater than 2.5 (Over 2.5), and 20 matches teams scored more than 1.5 goals (Over 1.5). In 16 matches the both teams scored a least one goal (Both teams to score).